This week started with a very empty fridge and pantry. I reorganized my pantry and I tossed an embarrassing amount of old expired stuff. In better news, I am much better organized now! I also packed up a box of food to donate so I know I won’t be wasteful. Our budget was pretty lean for a couple weeks so we tried to only buy what was absolutely necessary. We ate just fine but a little boring. 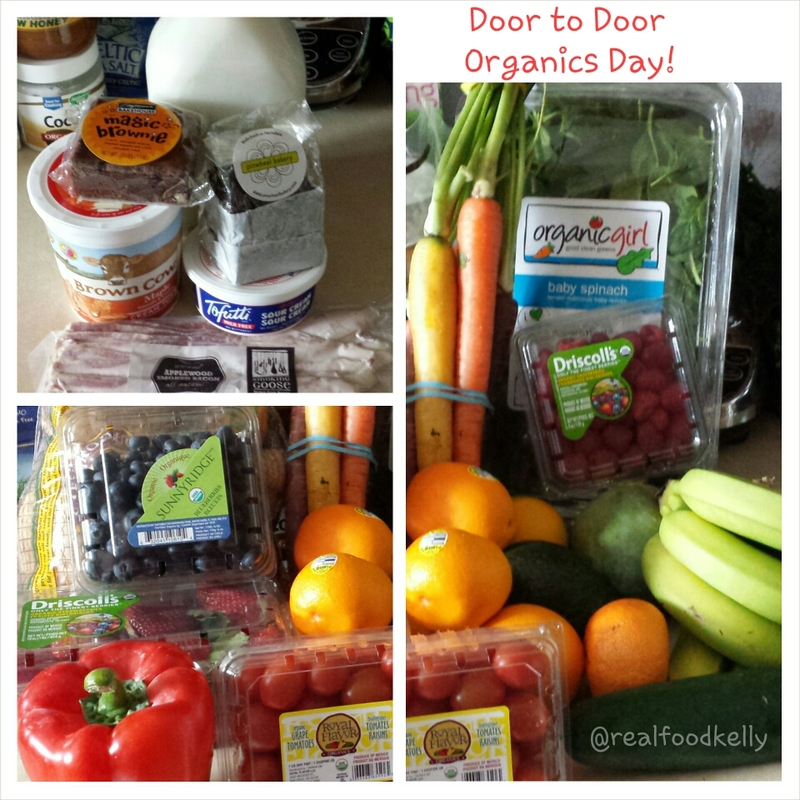 Wednesday was our Door to Door Organics day and it felt like Christmas! Lots of beautiful color in the boxes! Local toddler was happy to see his Calder Dairy milk and some Brown Cow yogurt. My husband did our order this week so he got us both brownies (Zingermans for him and a vegan one from Pinwheel Bakery for me). Also some Tofutti dairy free sour cream and Smoking Goose applewood smoked bacon aka the only bacon ever found in our house. We spent $60 at Door to Door and my fridge is so much happier! I also went to Pure Pastures this week but I cannot find my photos! I bought 2 whole chickens, frozen bell peppers, canned beans, soy sauce, potatoes, sausage, dried cherries and I am certain I am missing a few things. Spent $50.70 and $50 of that was covered by a groupon I had purchased for $30. Did you try anything new this week? Find a great deal? Come chat about it on Facebook, Instagram or Twitter!